Sadly I didn’t save the original post so I don’t remember who created this, but I still wanted to share. 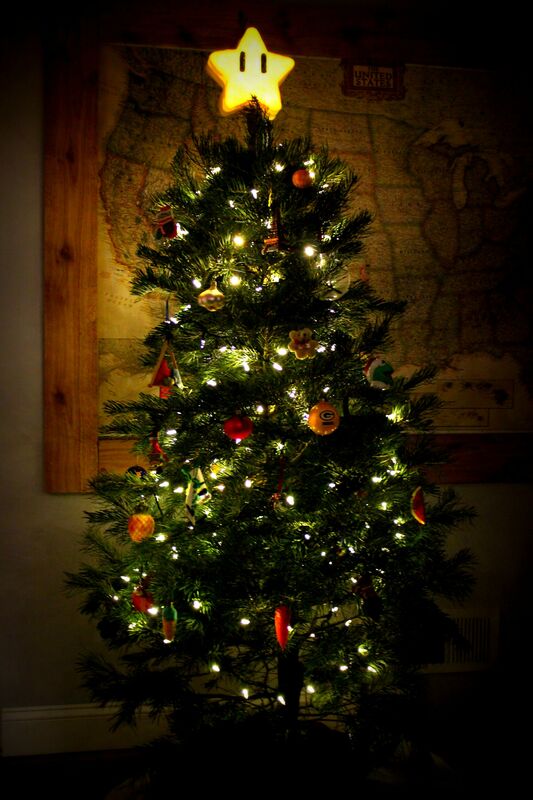 I do remember that the original poster used this blog to create the cute tree topper. Maybe one day I’ll make one of my own! Edit: the blogger who wrote the guide remembered the reddit post (she commented on the post herself). Here is a link to the comments section of the original reddit post for the picture above! Thank you so much for sharing my guide on the DIY Mario Star. I’m so glad you like it. It’s fairly simple to make! I would LOVE to see your finished product when you are done if you don’t mind. I was SO ecstatic to see someone used my guide in the reddit post and linked me. I was so excited. I’m not OP on that but I did comment on it. It’s a pretty awesome idea you have. I definitely want to make it one day. Thanks for sending me the reddit link, I’ve updated my blog! I try to give credit where credit is due and both of you guys deserve it!